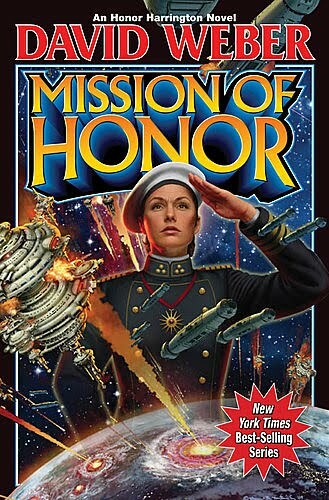 SciFiBookshelf.com: Can you give us any hints about the fifteenth Honor Harrington book, Mission of Honor, coming out this summer? David Weber: All I’ll say about Mission at this point is that it wraps up several fairly long-running plot strands but kicks in quite a few brand-new ones. And I’ll also say that the situation is going to get substantially worse for the Manties (in many respects) even as some of their older problems get put to bed. Well, and also that I may have to move to Montana and raise rabbits under an assumed name when some of the readers who have been with me from the very beginning find out some of the things I did in this book. Mind you, I think they’ll all forgive me eventually, but there are going to be some people who are upset. 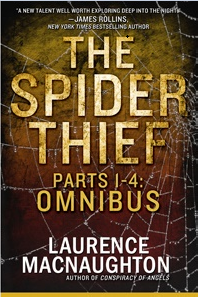 SFB: At last count, you’ve written something like 50 books, an impressive number of which have hit the best-seller lists. How do you keep up such a mind-boggling pace? DW: I don’t really know, and, for that matter, I don’t know that I can continue to keep it up a lot longer. I’m not getting any younger, you know! Then there are the three children age eight or younger who require a certain degree of Daddy time for maintenance. Mostly, I guess, I manage it because I focus entirely on whatever the job in hand use. My beloved wife Sharon has been known to refer to that as “OCD;” I prefer to think of it as . . . as . . . hmmmmm, I’ll have to get back to you on that one. I do know that I tend to work 16-hour days when I’m into the stretch on a book. SFB: You do a lot of convention appearances. Where will fans be able to find you in 2010? Is there any truth to the rumor that you’ll be doing a book tour this summer? Stay tuned for more insights from the magnificent David Weber!